This presentation was presented by Harvey Schellenberg of HP Builders. It compares the complexity, labor, materials, time, and cost of two identical buildings built at the same time on the same lot. 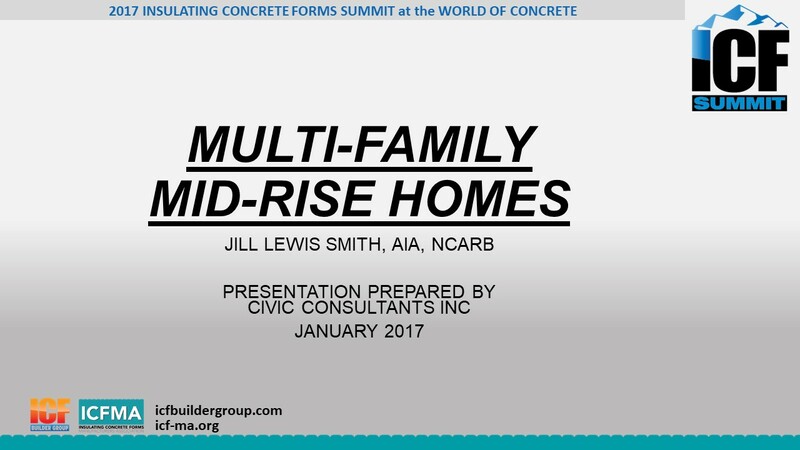 This presentation was presented by Jill Lewis Smith, AIA, NCARB and prepared by Civic Consultants Inc. for the 2017 ICF Summit at the World of Concrete in Las Vegas, NV. 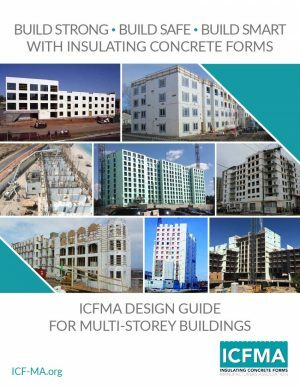 This presentation discussed the role of materials in mid-rise multi-family construction. 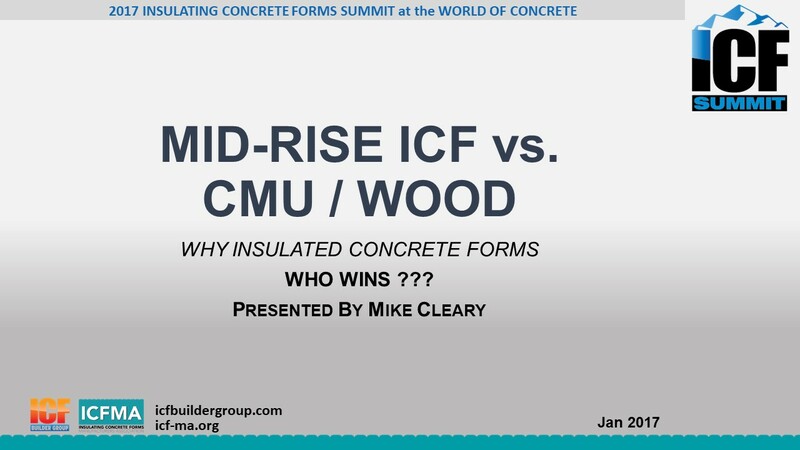 Mid-Rise ICF vs. CMU / Wood: Who Wins? 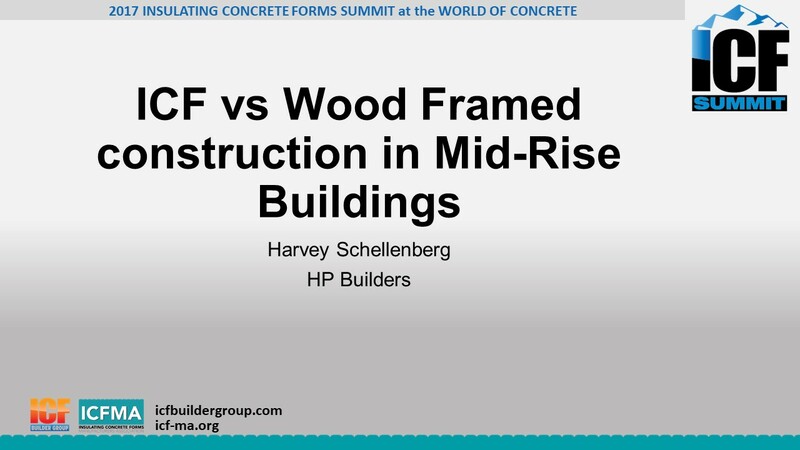 This presentation was created by Mike Cleary to discuss panelization of ICFs, comparison of ICF construction versus CMU and Wood in a mid-rise environment and to demonstrate the significant advantages of helix micro-rebar.